The Government has received another in an increasingly long line of blows in the Al Rawi & Others foreign torture case, with Mr Justice Silber ordering a closed hearing to see whether two key security service documents are to be disclosed to the claimants. If the Government chooses not to claim public interest immunity, which is unlikely, the documents will be disclosed immediately. The compensation claim involves six claimants who were detained at various locations, including Guantanamo Bay and Bagram in Afghanistan, alleging various forms of mistreatment. They claim to have been subjected to false imprisonment, trespass to the person, conspiracy to injure, torture, breach of contract, negligence, misfeasance in public office and breaches of their rights under the Human Rights Act 1998. The Government has recently ordered a public inquiry into the security services’ alleged complicity in torture, but this is not likely to start until after the Al Rawi claims are resolved. 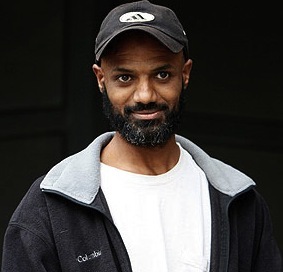 Last month the Court of Appeal roundly rejected a request by the Government that evidence in the high-profile torture compensation claim, including Binyam Mohamed and five others, should be kept secret from the public (see our post). That appeal reversed the decision of Mr Justice Silber, who now appears to be taking a more open view of disclosure applications. The Claimants argued that if the 2002 and 2004 the Guidance had been seen as insufficient, this may be the equivalent of a smoking gun in terms of proving that the Government was either deliberately or at least recklessly closing its eyes to the actions of foreign intelligence agencies. Apart from the very large number of documents involved now over 250,000 documents identified as potentially relevant, each document often comprising many pages, they cover a period of several years, and are held by several different Government Departments and agencies. There are furthermore a high proportion of very sensitive material that requires particularly careful review. However, the judge made clear that disclosure could not wait forever, with some of the claims arising from events already seven or eight years ago, and that he welcomed any potential disclosure that may shorten the likely length of the upcoming trial. In my view, the balancing exercise leads to the clear result that the Guidance documents should be disclosed and subject to a PII hearing to determine how much of it can be inspected. The extraordinary past and anticipated delays in disclosure of the Guidance documents requires the court to take decisive actions to ensure that the claims progress… These important claims would then be precluded from coming to trial for very many years even though their claims are already 7 or 8 years old. This is not quite the end of this particular issue. If the Government chooses not to claim public interest immunity, which is unlikely, the documents will be disclosed immediately. However, there will probably now be a Public Interest Immunity hearing where Special Advocates will make submissions to the judge on the basis of what is actually in the guidance. The judge will then decide whether it should be disclosed or not. His decision will rest on the balancing exercise between the public interest of disclosing the documents versus the potentially dangerous security implications of showing secret guidance to potential enemies of the state.